IT teams are often perceived as standing in the way of innovation and business agility. When an enterprise rolls out a new application or migrates an application to the cloud it can take weeks or even months to ensure that all the network and security devices can communicate with each other, and at the same time prevent access to hackers and unauthorized users. But it doesn’t need to be this way. 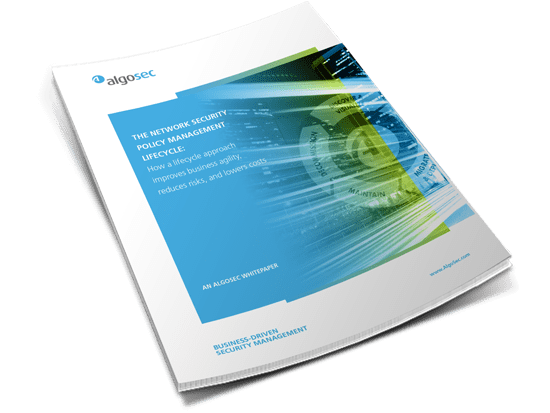 This white paper presents a new lifecycle approach to managing network security. This approach provides a framework for automating repeatable processes, and enables disparate technical and business groups to collaborate effectively to improve business agility, reduce risk, and ensure compliance.